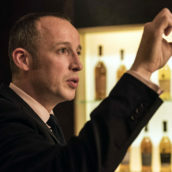 Glenmorangie‘s Dr Bill Lumsden – director of distillation and whisky creation – likes to experiment. 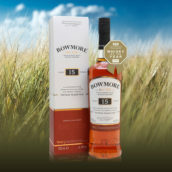 While some of the distillery’s Private Edition releases – his yearly chance to showcase the whiskies he has been tinkering with over the past 20 years – have been weird and wonderful, some of the most successful have been based around a simple idea. The latest is definitely one of those: what happens if you use casks that used to hold American rye whiskey to mature Glenmorangie Original? 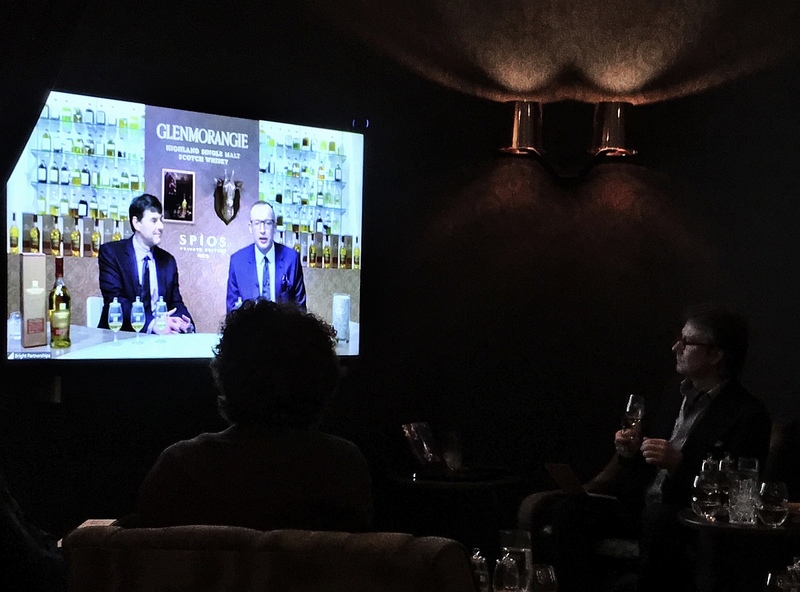 The answer: Glenmorangie Spios – Private Edition No.9. I don’t get on well with rye whiskey. I love it in cocktails, but on its own it’s got more punch than I usually want – the commonly cited rye ‘spice’. Spice is an imprecise word when talking about flavour and it always needs some clarification. Do you mean chilli heat, cinnamon, nutmeg, clove, anise, musky leaves, pungent green hops, dried herbs or something else? When it comes to rye, it’s a very specific character, sitting on top of classic American whiskey spice, the cinnamon and nutmeg notes that you find in almost every one. For me, rye whiskey’s spice combines the kick of cloves with anise and a selection of greener and more herbal notes, especially tarragon and mint – not what you might immediately think when told that a whisky is spicy. Back to Spios. Bill Lumsden was first introduced to rye whiskey back in the late 1990s by legendary whisky writer Michael Jackson. He was well known for championing lesser-known drinks and was a great cheerleader for rye. 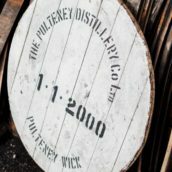 At the time, it wasn’t popular and production levels were incredibly low, so there weren’t many casks about – it took Bill a decade to source some to experiment with. Eventually he acquired enough heavily charred first-fill ex-rye barrels and the process of making Spios began. 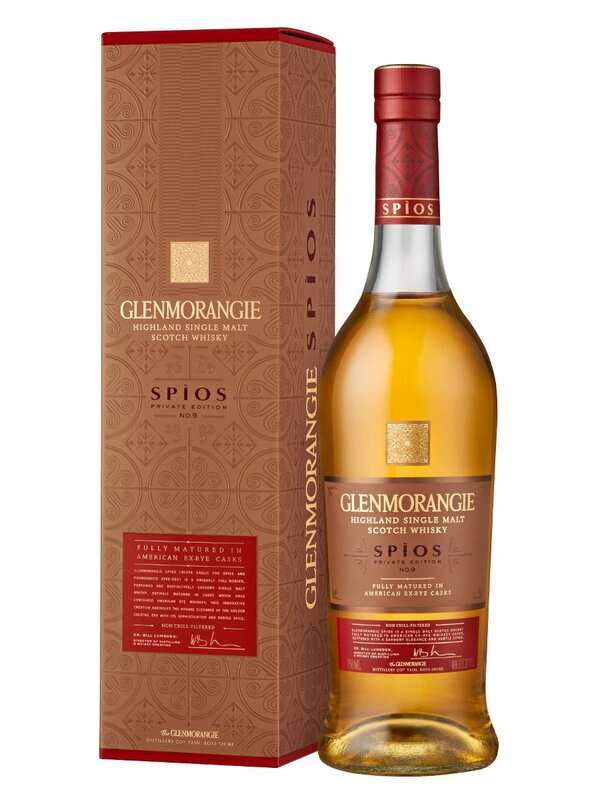 Compared to the complex vattings and finishes that often pop up in the Private Edition range, Spios is simple – Glenmorangie spirit fully matured in ex-rye casks. 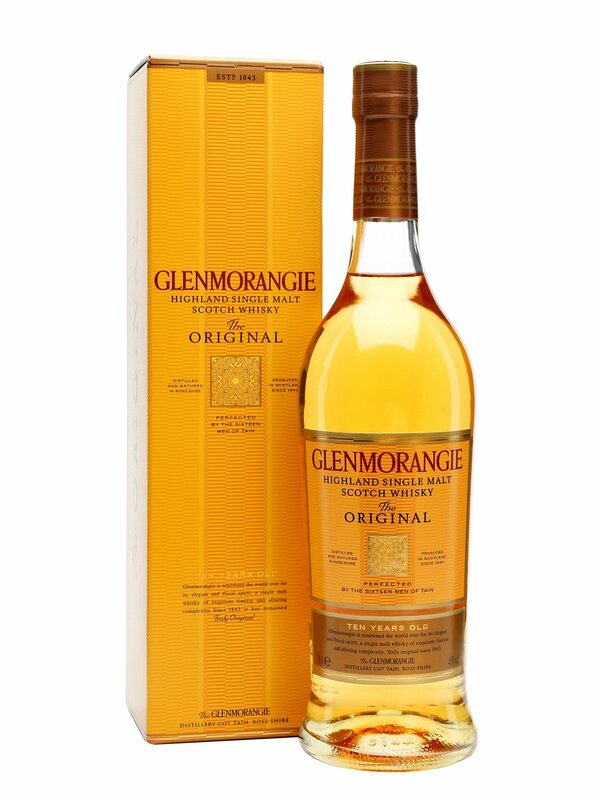 They haven’t official disclosed the age, but adding up the various numbers Bill mentioned above, it comes out at around 10 years – the same age as Glenmorangie’s classic 10-year-old Original. If we want to see what rye casks add to the whisky, then how better than to compare the two? Nose: Spring meadows and flowers up front, with Love Hearts, (restrained) Parma Violet sweets and candied lemon peel: fragrant and sweet. Richer citrus fruit sits in the middle – orange jelly and hints of wine gum – with a pool of creamy coffee and caramel underneath. Palate: Cream and spice to start: clove and vanilla cream. Coffee and chocolate sit at the back, with orange- and lemon-creme-filled chocolates bridging the gap. Oaky spice develops, dry cinnamon and sweet nutmeg, with a touch of anise. Finish: Lemon and orange oil fade to leave damp leaves and cinnamon-spiced cream. Nose: Herbs and toffee roll out of the glass: cloves, mint and spicy green leaves. Clove-studded oranges sit behind, doused with thick vanilla cream and toffee sauce. Hints of banana smoothie develop, stirred through with fresh mint and star anise. With time, fragrant pears and floral notes appear. Palate: A big hit of spice kicks things off: cloves with a whack of cinnamon heat. Sour plums and baked apples roll through the middle, sat on a bed of leafy mint and tarragon. Warming anise notes build, along with creamy coffee sweets. Finish: Clove, cinnamon, anise and mint floating on a pool of cream and coffee. 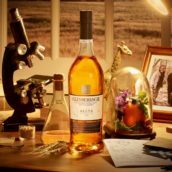 Glenmorangie Spios is available to buy now. unsure about the rye spice but definitely interesting. Thanks!